As an international organisation, the EU operates through a hybrid system of supranationalism and intergovernmentalism. In certain areas, decisions are made through negotiation between member states, while in others, independent supranational institutions are responsible without a requirement for unanimity between member states. How to address the EU as a polity in international law is not yet clearly formulated, while also European politics (EU's multi-level system of governance, views on legal aspects and policy implications, non-state actors and the EU (lobbying) as the changing role of the EU in a world of challenges and opportunities) is debated. .
George Steiner says during the speech delivered at the opening of the Salzburg Festival in 1994: 'in the foundation concepts and documents that should bring Europe after 1945 a European Union, were subtle but nevertheless very influential elements in the sphere of mythology. It is no coincidence that Schuman, Adenauer and De Gasperi, the founders, were Catholics. Nor that certain places like Aachen and Strasbourg played a legendary role in their plans'. In the design of a European confederation, which abolishes the boundaries of hate and Europe, as an important source of moral and intellectual life in the western world confirms again, is the Holy Roman Empire the example. 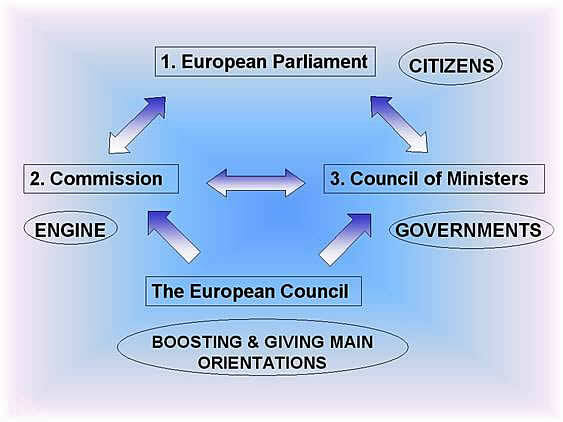 With the Lisbon Treaty, the co-decision or ordinary legislative procedure which brings together the Council (nation states interest) , Parliament (elected every five years by member states' citizens and twice a year observed by 'Vote watch EU' on the voting behaviour of MEP's) and Commission (to serve the EU) has become the standard way of decision-making. Through this partnership between the institutions, the common interests of the European Union, of its Member States and its citizens are expressed in a unique and tangible way, creating the necessary legislation to meet the challenges of the future. Other important institutions within Europe include Council of Europe, the Court of Justice of the European Union, European Economic and Social Committee and the European Central Bank. Some monitoring and advisoring organisations are EU-28 WATCH and EUROPEAN COUNCIL ON FOREIGN RELATIONS (ECFR) and from the outside Andrew Moravcsik from Princeton University. The EU traces its origins from The Ventotene Manifesto (Pontine Islands), Hague Congress (1948), declaration of 9 May 1950 (the European Coal and Steel Community formed among six countries in 1951) and the Treaty of Rome formed in 1957 by the same states. policy areas to its remit. The EU has developed a single market through a standardised system of laws which apply in all member states, ensuring the free movement of people, goods, services, and capital. It maintains common policies on security, digital affairs, innovation, energy, climate change, asylum and immigration, trade, agriculture, fisheries and regional development. Nineteen member states have adopted a common currency, the euro, constituting the Eurozone. The EU has developed a limited role in foreign policy so far, having representation at the World Trade Organization, G8, G-20 major economies and at the United Nations. It enacts also legislation in justice and home affairs, including the abolition of passport controls by the Schengen Agreement between 22 EU and 3 non-EU states. necessary and appropriate. But it is the Council (and the European Parliament) that co-decide in Europe and should take the blame or the credit for the EU decisions. The Commission only proposes, and in the vast majority of cases it is the member states governments which decide! So it seems rather preposterous to suggest that ‘Brussels’ has made a decision while it is the signatures of the national governments that appear on the final document. In the 1950s, when an embryonic European Union was taking shape, national leaders had to improvise every time they wanted to meet. But the need to respond to pressing events in Europe and in the rest of the world, as well as the determination of some, would gradually transform their informal chats into the decision-making centre that we know today. This documentary 'From fireside chats to key decision-maker' looks at the story of the European Council through the eyes of those who witnessed its impressive transformation. How should we judge the performance of the European Commission? What should be the new Commission's priorities? What should the programme be for the next Commission? What can it realistically achieve? How can it ensure that the EU relevant for citizens? 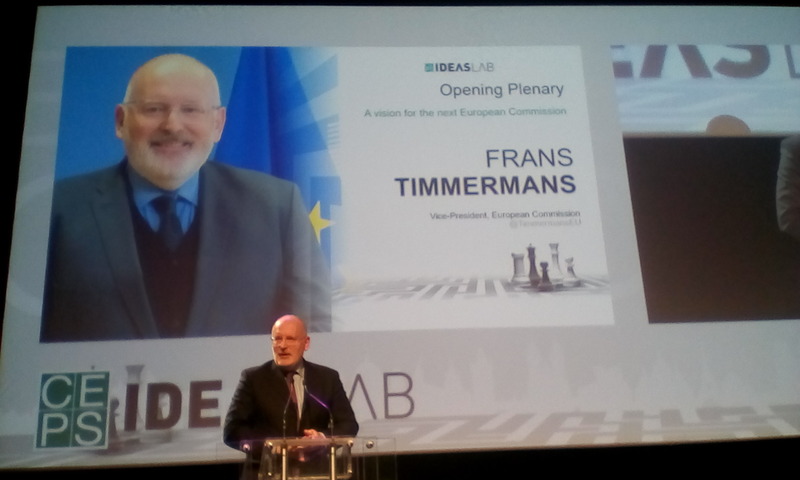 Brexit is one of the saddest things I have ever seen in my life.” Frans Timmermanns, Vice-President, European Commission, on Brexit, climate change activism, elections, transparency and more like it’s the first time since World War II that US has a President bent on dividing and weakening Europe. It is a challenge that his understanding of relationships is just transactional. 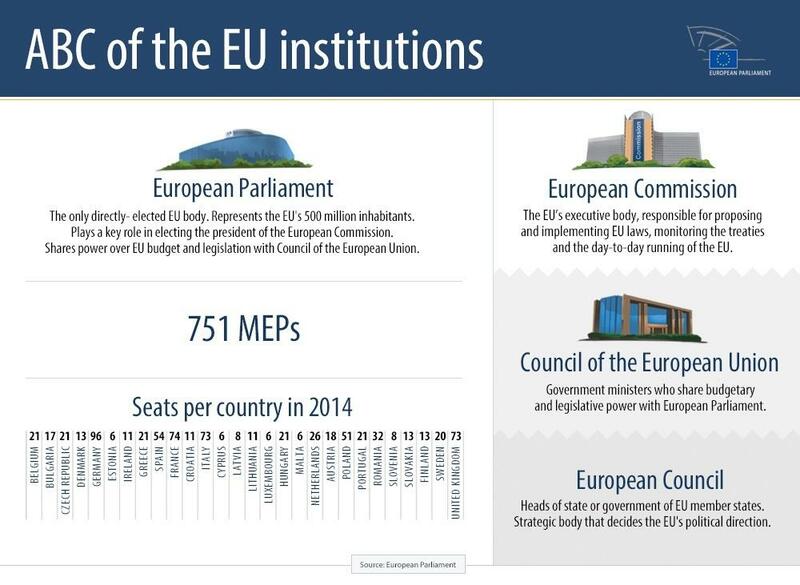 (1) EU institution, where EU leaders meet around 4 times a year to discuss the EU’s political priorities. It passes EU laws, coordinates the broad economic policies of EU member countries, signs agreements between the EU and other countries, approves the annual EU budget, develops the EU's foreign and defence policies and coordinates cooperation between courts and police forces of member countries. The Council is an essential EU decision-maker. Acts which are directly relevant to the lives of EU citizens and have a considerable international impact are adopted by the Council, usually in conjunction with the European Parliament. - It adopts the Union's budget, together with the European Parliament. The EU's laws are made by the Council, together with the European Parliament. In most cases, the Council can only legislate on the basis of proposals submitted to it by the European Commission. It can ask the Commission to submit any proposals it may deem appropriate. Since the entry into force of the Treaty of Lisbon, a million citizens may also sign a petition inviting the Commission to submit a proposal. This is the citizens' right of initiative. The Council sits in public when it is discussing and voting on a proposal for a legislative act or when there is a general debate. You can follow these discussions in real time on the Council's Internet site (video.consilium.europa.eu) and see, for example, how your minister is putting your country's point of view. The written documentation available to the ministers is also accessible to everyone. Conversely, discussions on matters which do not involve legislation, for example foreign affairs, are not public. However, Council meetings are always followed by a press conference and a press release explaining what decisions have been taken. - a minimum of 260 votes is cast in favour of the proposal, out of a total of 352 votes. In addition, a Member State may ask for confirmation that the votes in favour represent at least 62 % of the total population of the Union. If this is found not to be the case, the decision will not be adopted.